Leeat Mishan is empowering women to experience the miracle of giving birth their own way. Doulas support pregnant women throughout pregnancy and specifically during the entire birth and into the postpartum period. Leeat explains that unlike a midwife or doctor, who perform clinical tasks, the role of the doula is to give wholehearted support and attention to the individual needs of the woman. Leeat informs and educates her clients on what to expect during birth, and discusses comfort measures and tools to use to alleviate pain and fear. Leeat believes that there is a major lack of prenatal education in Canada specifically. She urges all pregnant women to use a doula’s services to provide the essential guidance and support during this time in their lives. 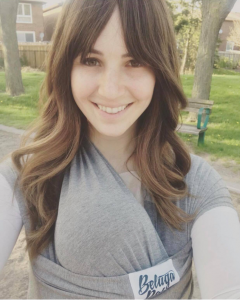 Leeat Mishan is a registered doula in Toronto and works to provide educational and emotional support to expecting mothers throughout their pregnancy and birth.